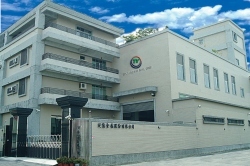 Tin-Yi is located in Tainan, Taiwan with complete facilities in the factory. For reducing more manufacturing costs, Tin-Yi works from cutting aluminum, spinning, aluminum press, polished to eletroplating with a consistent producing line. On the other hand, President Cheng purchased auto spinning and polished machines from Japan several years ago to reduce costs and gain high producing abilities. Now Tin-Yi has 10 auto machines and 80 manual ones as well as 2 complete sets of electroplating equipments to contribute a best ability of manufacturing to meet market needs. Nowadays Tin-Yi has reached a monthly average production of 300,000pcs under such great efforts and good facilities.